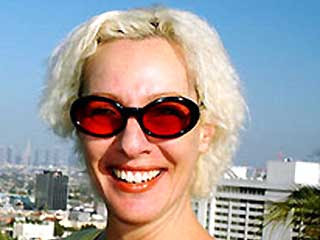 Cathy Seipp was a politically conservative columnist and blogger. Her sharp, pointed way with words gained her a great deal of attention and angered a few. She recently lost her long battle with cancer and left behind a legacy of interesting observations. What happened in her final days is astonishing! With freedom comes extremes and this internet infringement went beyond extreme. Read about just how far some will go to impose their will across this new media. Here! The power of the internet is an interesting thing and it has changed the world in which we live. We can sit in the comfort of our homes and communicate with people from all parts of the world. It’s amazing and wonderful despite many of the idiosyncrasies. The blogging experience only adds to the adventure, because it opens new horizons. Recently I made a post on this blog about the popular reality program, American Idol. In that post I mentioned Sanjaya Malakar (a youngster of East Indian descent with dubious musical talents) and I suddenly started getting hits from various locations in India. It was fascinating to watch the site meter turn out hit after hit coming from places sprinkled across that region of the world. Today I received a visit that I found so interesting that I thought I would share it with the readers of this blog. Mayer, Brown & Platt is a rather prestigious Chicago law firm with a history dating back to 1881. It has become international in scope and has offices all across this country and around the world. Why would this legal giant have an interest in my little, obscure blog? One word and that is seipp! The real kicker is that their interests do not revolve around the recently departed Cathy Seipp, but rather Dennis Seipp, associated with Washington Group International, Inc.
Orwell might have missed the boat by a few years, but he made the right call! And though both would be loath to admit it, he shares with Seipp at least one trait that may have led him to this point — an unwillingness to back down in the face of perceived injustice. He's also endlessly self-aggrandizing, obviously bitter and easily worked into a frothy fury over issues that seem piddling by mainstream standards (for example, not many L.A. high-school teachers would be shocked into speechlessness by profanity). He gets especially worked up by what he sees as his persecution by Maia Lazar and Cathy Seipp. I agree! I find that situation to be very alarming and pertinent to many of the discussions that have been going on at this blog. Many, many people that frequent these crime related forums have some deep-rooted issues and it has little to do with specific topics. In fact, each topic is merely a vehicle to be used by them for self-indulgent rants. It is a peculiar aspect of life, but it is also very interesting. The end of the story is kind of spooky!! lol The story itself is just tragic! !